American Express is also using RFID technology for the first time this year with a program called MyOpen Pass. 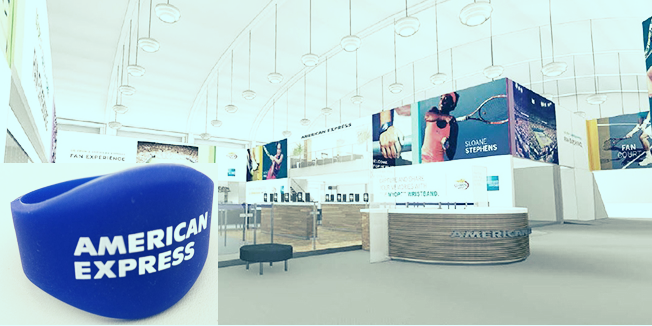 Once attendees register for the event, a wristband with an embedded technology chip will collect data about five of the on-site experiences housed within the U.S. Open American Express Fan Experience. For example, one area takes a 180-degree video of a fan’s best tennis shot. After the tournament, consumers will receive an email detailing their performance.